MultiThera 1 Iron & Vitamin K Free is a comprehensive multiple vitamin/mineral supplement containing a well balanced amount of fat-and water-soluble antioxidants, B-complex vitamins, and other nutrients of a sound nutritional foundation. 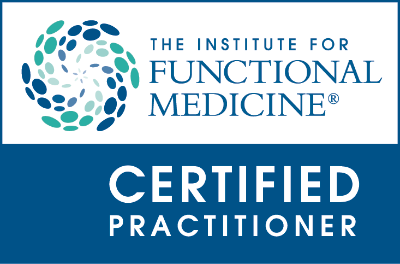 The activated forms of folate (Metafolin® L-5-methyltetrahydrofolate) and vitamin B12 (methylcobalamin) are used for enhanced absorption and bioactivity. 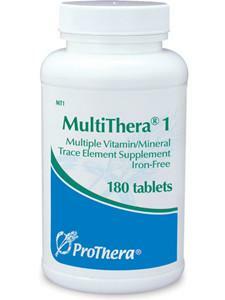 MultiThera 1 Iron & Vitamin K Free contains a full-spectrum of bioavailable trace elements, excluding iron and vitamin K, making it suitable for those using anticoagulant medications or who wish to avoid iron intake. Vegetarian capsules made of plant cellulose used making the formula well suited for those who prefer capsules or have difficulty swallowing, as the capsules may be pulled apart and the contents mixed with food if desired. Suggested Use: 3 capsules twice daily with food.